Mom, I truly enjoy spending time with you. And not being there today really makes me blue. This card is filled with a million hugs and kisses. I love you so much Mom. Many wishes for a Happy Mother’s Day! Mother, somehow you always instinctively know whenever I’m struggling and feeling blue. You call with words of kindness and encouragement to help get me through. And whenever I visit home, I feel such warmth, comfort and love. Your arms are always open, ready to embrace me in a hug. Mom, you are so precious to me. You’re the light of my life! Happy Mother’s Day. As a child I adored you, as a teen I admired you, and as an adult I love and appreciate you more than words could ever say! Happy Mother’s Day. A mother’s arms are her children’s safe haven, and her heart is their home. I am blessed to have you as my mom. You mean the world to me. Happy Mother’s Day! Mom, thank you for all the caring, kindness, love and laughter you have shared with me. And with all my heart, I appreciate all the the patience, wisdom, advice and strength you have offered too. You fill my life with joy. I celebrate you today and every day. Happy Mother’s Day! On the day God paired up children with mothers, I must have been at the front of the line because I got the very best one! I feel so lucky to have been raised by you. I love and cherish you more than words could ever express. Happy Mother’s Day! 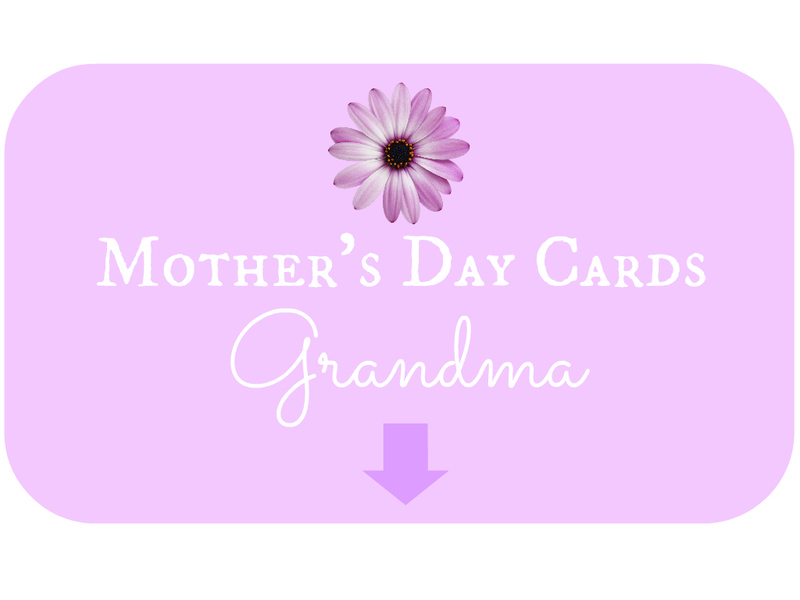 Grandma, you are the heart of this family – our golden treasure! You are deeply loved and cherished. We wish you happiness today and every day. Happy Mother’s Day. As our family gathers around you to celebrate: May your day be filled with endless pleasure, and everything your heart does treasure. You are the beautiful glue that binds us all together. Happy Mother’s Day, Grandma! As children, Grandma’s house was where all of us kids always wanted to be. We all have such precious memories of fun sleepovers, each day awaking to a yummy breakfast kept hot on the stove, and being showered with so much sweet affection. There is no other grandma as loving or as devoted as you. We love and cherish you more than words can say. Happy Mother’s Day, Grandma! Mmmm…How I love the smell of Grandma’s house. It fills my heart with such comfort and joy. It’s walls store countless loving memories of so many childhood pleasures. I thank my lucky stars that I was blessed with such a precious Grandma. Happy Mother’s Day! Grandma, as a babe I felt so happy just sitting on your lap. As a young child, wrapped in your arms I felt safe and protected. As I grew older you were always there to witness and share in the joy of everything I accomplished, large or small. And today you are still the loving mentor and friend whom I cherish most. Happy Mother’s Day! Grandma, throughout my youth you guided me with gentleness. You taught me so many valuable things, but always with patience, respect and love. You are the beautiful angel I am lucky enough to call my Grandma. Happy Mother’s Day. Grandma, we have always loved listening to your wonderful, vibrant stories of life in the past, and looking at your collection of old photographs. You are the keeper of our family’s memories, and our love for you overflows. Happy Mother’s Day! Home is where our Mom is. Thanks for filling our lives with love. Happy Mother’s Day. Mom, you’re like a beautiful flower that grows in the garden of our hearts. Today we water you with all our love. Happy Mother’s Day! Forget Spiderman, Superman and Batman. Mom is my super hero! Happy Mother’s Day. Mom, it’s your smile, laugh and special way, that fills our home with sunshine each and every day. Happy Mother’s Day! Mom, like giant mounds of shiny jewels and pirate’s gold, our love for you just grows and grows. Happy Mother’s Day! Happy Mother’s Day to my beloved wife. I want you to know how much I appreciate all that you do for our family. You are truly an incredible wife and mother. Beautiful wife, you wear motherhood well. You are loving and attentive, guiding our children with gentleness and understanding. And like a well-seasoned sea captain at the head of our ship, you organize us all so well, charting out successful schedules of myriad kid and family activities. You are the one who expertly irons out the wrinkles and makes sailing through otherwise rough waters safe and smooth. Happy Mother’s Day! Dear wife, may the beauty of this special day fill your heart with joy and delight. Happy Mother’s Day! Dear wife, I want to acknowledge the fact that being a stay-at-home mother is a very difficult job. Even when I arrive home to help you out, you are still on shift 24/7. I cannot thank you enough for everything you do for me and our children every single day. My love for you is unending. Happy Mother’s Day! To the beautiful mother of my children, and our family’s awesome social coordinator. Darling wife, this day is all about you, so get ready to be properly pampered! Happy Mother’s Day. Breakfast in bed, and roses of red. May you always be surrounded by the happiness and laughter of our precious family, and may every smile be a reminder of our love for you. Happy Mother’s Day! Partner in life, I could not ask for a more perfect wife! Together we’ve created a beautiful family, but it’s you who has filled our home with sunshine and love. Happy Mother’s Day. Sweet, beautiful lady, you are my best friend and every day I am so thankful I made you my wife. Sometimes it may not seem that I notice all the special, wonderful things you do for our family, but I do! I love and treasure you beyond words. Happy Mother’s Day! Dear wife, I want you to sit back, relax, and not worry about a thing. Just enjoy the day. I can handle the kids on my own for 24 hours. First I’ll locate their whereabouts, give them ice cream for breakfast to keep them happy, use the egg timer to remind them to change their own diapers, then I’ll put out the fire in the kitchen. Trust me, I have everything under control! Happy Mother’s Day. Loving wife, you are a beautiful woman and an even more incredible mother. You bring so much joy and richness into our lives. Happy Mother’s Day! Mother-in-law, whether we are out shopping or just chit-chatting, I love spending time with you. I feel blessed to be a part of your family, and I thank you for being an important part of mine. Happy Mother’s Day. It’s so awesome to have a mother-in-law as special as you! Thank you for always being there for me, and for treating me with such love and kindness. Happy Mother’s Day. Mother-in-law, having you in my life is such a joy! Today I celebrate the wonderful woman that you are, and how much you mean to me. Happy Mother’s Day. For a beautiful mother-in-law on Mother’s Day. Although we live so far apart, a piece of you lives in my heart. With great warmth I think of you often. For an incredible woman on Mother’s Day. I cannot thank you enough for raising such a wonderful son for me to marry. I feel blessed to have you as my mother-in-law. Wonderful mother-in-law, may your day be as delightful as you are. Happy Mother’s Day! Mother-in-law, I admire you greatly. You’re a woman that has it all…style, class, beauty and sass! Happy Mother’s Day. On this very special day, I send bouquets of love your way! Happy Mother’s Day to the world’s best mother-in-law. With your special, kind and loving way, a phone call from you can always sweeten my day. Thank you for being such a terrific mother-in-law. Happy Mother’s Day! If given the chance to pick my own mother-in-law from a crowd of lovely, kind, intelligent women, I would absolutely still pick you! You’re the best. Happy Mother’s Day. Happy Mother’s Day to my beautiful sister! You are an incredible wife and mother. Your example has always inspired me to be the best that I can be. Enjoy this gorgeous day. I feel so lucky to have such a wonderful sister who’s also a terrific mother too! Happy Mother’s Day. Sister, you are held dear to my heart and you mean so much to me. 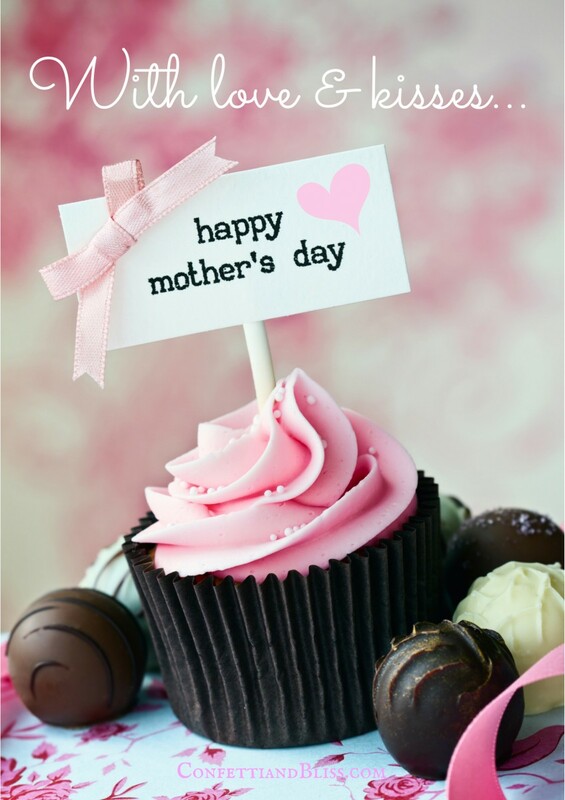 Today’s a great day for celebrating motherhood and the fantastic mother you are to your kiddies. Happy Mother’s Day. A sister like you is very rare. You are kind, gracious, thoughtful and loving. You know how to bring out the sun even on cloudy days. Your children are lucky to have a mom like you. Happy Mother’s Day. To my beautiful sister with love. Growing up there were so many special things that we did together with our mom, and now to see you do those same sweet things with your own precious children just warms my heart. You’re a great mom! Happy Mother’s Day. To an amazing sister and dear friend. You are a wonderful mother to your sweet children. You know exactly how to make everyone feel loved. May your life continue to be blessed with every imaginable happiness. Happy Mother’s Day! Sister, you are a dear and beautiful soul. I want you to know that you’re loved and appreciated the whole year through. May your day be filled with happiness and many special hugs. Happy Mother’s Day. To a great sister-in-law and wonderful mom. May your day be filled with love, hugs, and a whole lot of pampering from the hubby and kids. Happy Mother’s Day! Sister-in-law, I want you to know how much I admire your mothering skills. You are kind and gentle, yet strong. You are patient and understanding, yet firm. Over the years, watching you parent your children I have learned a lot. Raising children of my own, I know just how challenging things can be! Happy Mother’s Day to one terrific mom! Sister-in-laws are not all created equal. Luckily, I have the most awesome one out there! Happy Mother’s Day. I am forever grateful to have such an awesome sister-in-law. It’s always so nice to see you, and for us to have a chance to spend fun, quality time together. Thanks for being an important part of my life. Happy Mother’s Day. Sweet sister-in-law, you always amaze me with your awesome style, chic, and glamour! You wear motherhood well. Happy Mother’s Day! Sister-in-law, your smile spreads sunshine, and your kindness overflows. May your Mother’s Day be as special as you are! Have a fun day. Sister-in-law, you have a heart of liquid gold. You are truly our family’s precious treasure. I feel blessed to have you in my life. Happy Mother’s Day. On the day sister-in-laws were being given out, I was obviously the first in line to get the very best one! I feel honored to call you mine. Happy Mother’s Day. Aunt, today is the perfect occasion to remind you how much you mean to me to me. I love you with all my heart. Happy Mother’s Day! For a special aunt that is beautiful, kind, and so much fun! I love spending time with you. May your day be filled with sunshine and flowers. Happy Mother’s Day! Aunt, thank you for all the love and time you’ve given me over the years. Your sweet and thoughtful ways really made my childhood special. You are always on my mind and forever in my heart. Happy Mother’s Day. Aunt, just knowing you’re always there for me has made my life blessed. You’re an incredible woman and a most beloved aunt. Happy Mother’s Day! Your bright warm smile, gentle encouragement, and caring ways are what come to mind whenever I think of you. Happy Mother’s Day to the world’s best aunt! Dear friend, I just want you to know you’re always in my thoughts. On this special day, as you hold your family close, may your lives be filled with joyful bliss! Happy Mother’s Day. To my favorite friend on Mother’s Day. As one of the best moms I know, you deserve a day of relaxation and pampering. I send many heartfelt wishes for a lovely day. Sweet friend, I hope your day is wonderful and bright! Happy Mother’s Day. Happy Mother’s Day to a very special friend! May your day be filled with many lovely and thoughtful tokens of appreciation. Beautiful lady, your special qualities as a friend are endless, and those same wonderful traits make you an incredible mother too! Enjoy your Mother’s Day celebration. Dear friend, I’m grateful for your friendship. As busy moms we don’t have many opportunities to get together and chit-chat. But I want you to know that you’re thought of often in the kindest and dearest way. Happy Mother’s Day! Sweet friend, enclosed in this card are a million hugs and kisses, and many lovely wishes for an incredible Mother’s Day. Have a fun celebration!